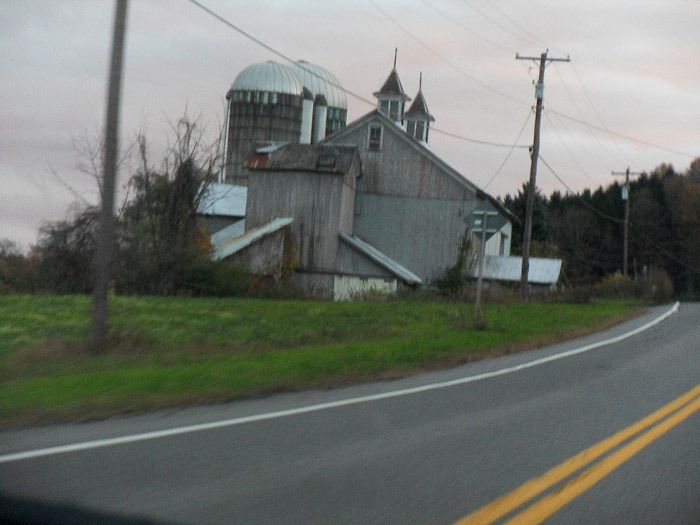 My Dreamspinner Press novella Homespun is set in central New York state, and today I’ll be giving you a photo tour of the area. 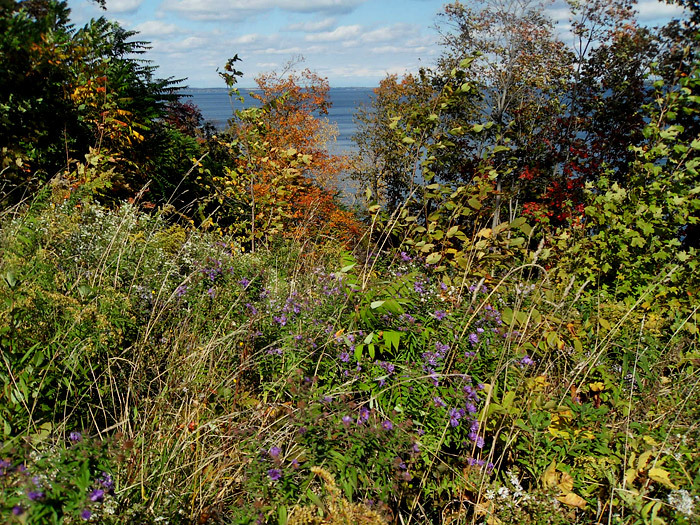 Much of my location research for Homespun took place around Ithaca, where my sister lives. 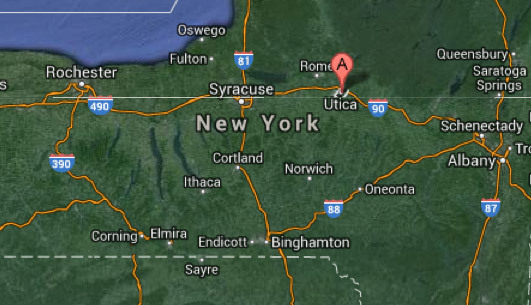 Here’s a Google map showing the approximate locations of Ithaca, Syracuse and Utica. Between these small cities there is a large expanse of low, rolling hills with woods, farms, and a network of state and county highways. 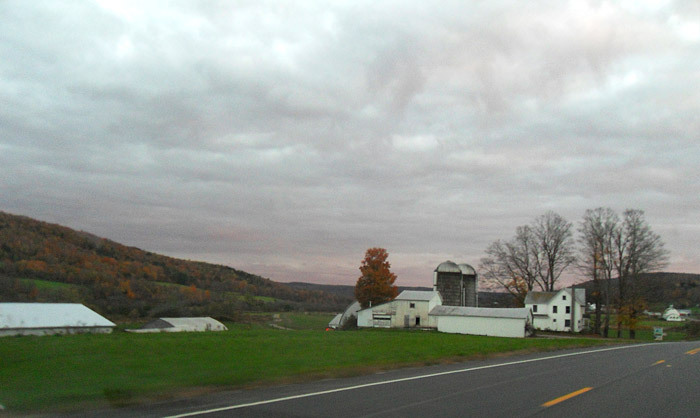 Somewhere in this area, the fictional small town of Hazel, NY is located, where Owen and Laura have their sheep farm in the book. 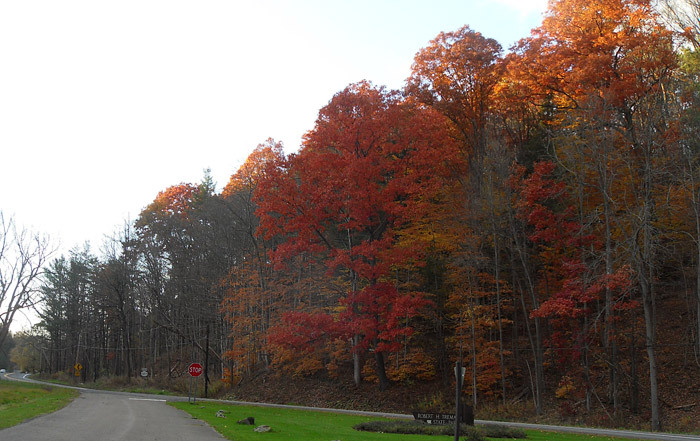 Red autumn trees near Ithaca. 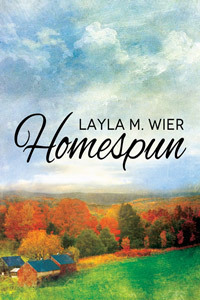 Like I’ve mentioned in other posts, my sister was happy to help me research Homespun and we drove across the area between Ithaca and Utica to get a feel for it. 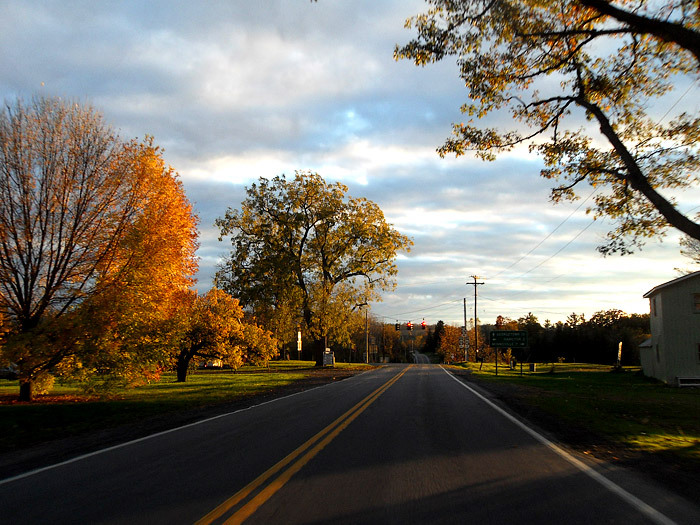 The drive was absolutely beautiful; it was autumn, near sunset, and the fields and small towns were lovely in the long golden light. That was the drive on which I collected most of my location ambiance for the area around the farm. Unfortunately this also mean that I have a limited pool of pictures that came out clear enough to post, since it was nearing dusk and many of the pictures I took came out blurry. 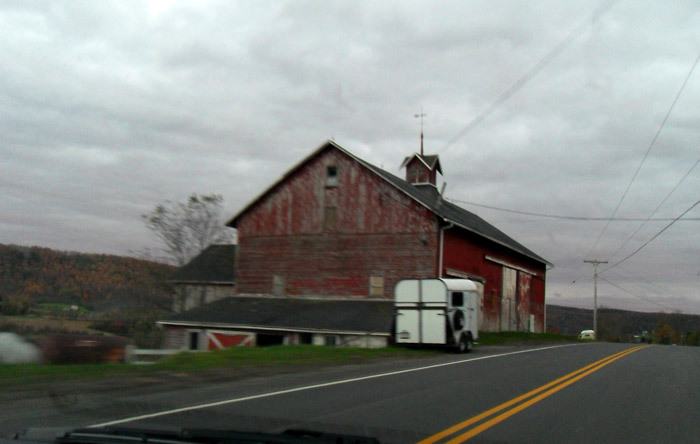 We passed so many interesting, abandoned old barns. Sometimes we’d see a barn that had been converted into some other kind of business. I never got to mention this in Homespun, but the service garage in Hazel where Owen works part-time is inside a converted barn not too different from this one. The climate around Ithaca is slightly different than that of the more east-central part of the state because it’s on a lake, but it’s still close enough that I was able to explore Ithaca to research plants and trees and the general sights/smells/sounds of a New England autumn. Wildflowers and weeds in an overgrown field in the farm country outside Ithaca. 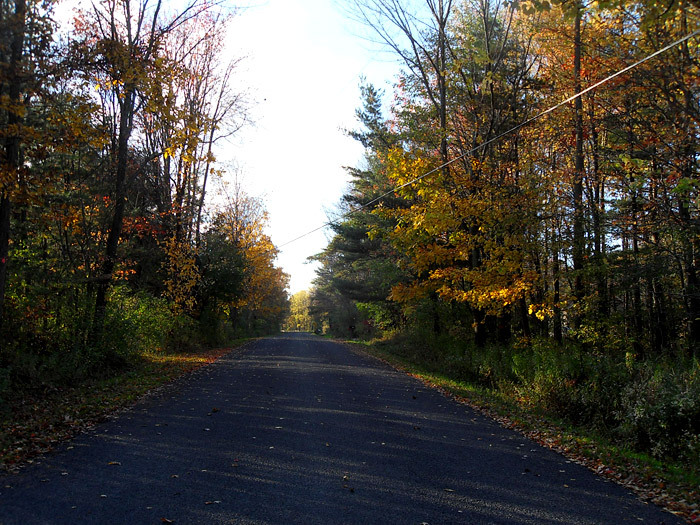 And here’s one of many rural roads around Ithaca, very like the little country roads that I imagine around Owen and Laura’s farm. I hope you enjoyed this tour of the Homespun world! If you’ve already read the book, this will give you some visuals to go with it, and if you haven’t read it, I hope you might be intrigued enough to find out a little more about it. Such lovely pictures! Florida is really not like that! Thank you! No, Florida is rather different. 🙂 And it’s interesting to look back on these pictures when we’ve already gone beyond the colorful part of fall and are flirting with early winter here in Alaska.